Steeple Court Manor is a fabulous Summer wedding venue. It has a beautifully presented marquee with separate permanent sections for the ceremony, meal and bar/dance floor. The marquee itself has really been decorated with love and care and feels fantastic when you walk in. It is only a minute or two’s drive from the centre of Botley but once you’re there feels as though you’re deep in the countryside. There is ample parking only a very short walk from the marquee. The grounds are wonderfully intimate and beautifully tended. They are partitioned into many different areas which make for some wonderful photographic opportunities. Despite the intimacy of the garden design there is ample room for sizeable group shots, musicians and guests milling around with canapés. Confetti is also allowed. The grounds include trees and paths, hedges and lawns, a stone garden seat, a pond and a vineyard. It is an easy to reach wedding venue with ample parking. It has a fabulous marquee and wonderfully intimate grounds. Everything is done with love and attention to detail. The overall atmosphere is one of welcome and friendliness. It feels more as though your wedding is at a venue owned by a friend of the family. 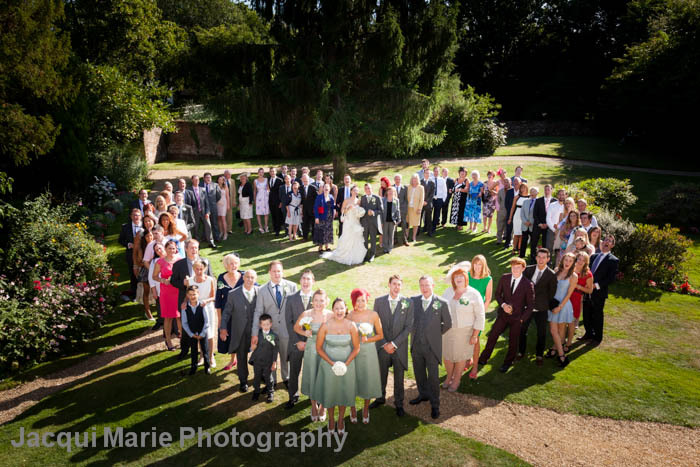 A very pleasant wedding venue with great atmosphere and plenty of photographic opportunities.